Regarded as one of Britain’s best local regattas, the Fowey Royal Regatta, which runs from 19th to 25th of August, draws hoards of people into the picturesque streets of the historic harbour town of Fowey. Nestled in an Area of Outstanding Natural Beauty on the south coast of Cornwall, our usually tranquil town is transformed into a hub of children’s entertainment, live music, and an overall bustling atmosphere. The regatta is not only home to one of the country’s best known sailing events but also boasts an array of entertainments from firework displays to carnival processions and not forgetting the infamous Giant Pasty Ceremony; there is fun to be had for all the family throughout the week-long celebration. The Fowey Royal Regatta Committee is delighted to announce that this year will see an incredible display from the world-renowned British Army’s very own parachute display team the Red Devils. The team is made up of 15 full time paratroopers who return to combat when required. Up to six members of the team free fall at an astonishing 120mph from 10,000 feet before deploying their parachutes with trailing smoke to perform stupefying formations at speed. Fowey is lucky to play host to the Red Devils, who are widely acknowledged as one of the world’s best parachute display teams, as the regatta marks one of just five displays this year. Spectators will also have the rare to opportunity to meet the team after the display. 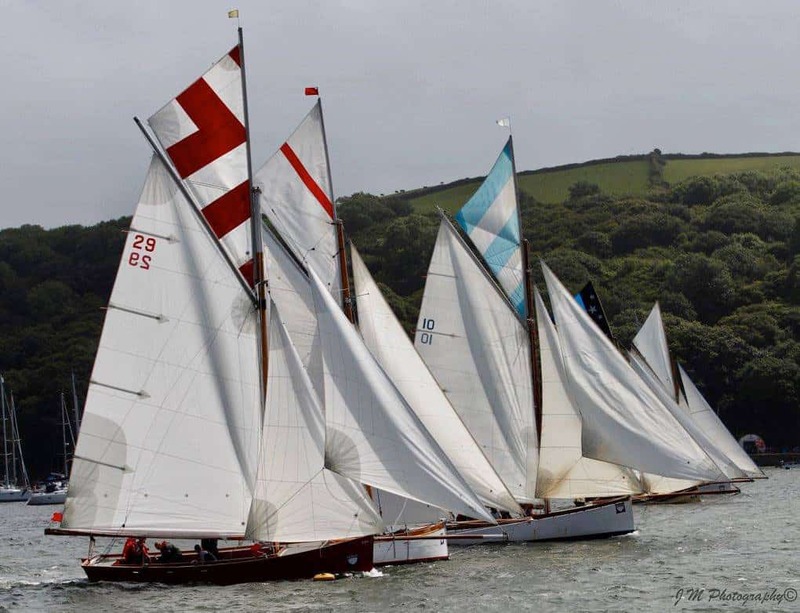 Fowey Royal Regatta is well known for its sailing events including passage races, the working boat race and Sponsors Day races with a longer race for the ‘Tribute’ Trophy. There are many great places to view the action on the water but if you fancy escaping the hustle and bustle and venturing out of Fowey, a walk along the South West Coastal Path to St. Catherine Castle provides a peaceful change of scenery and fantastic views across Fowey harbour and out to sea. 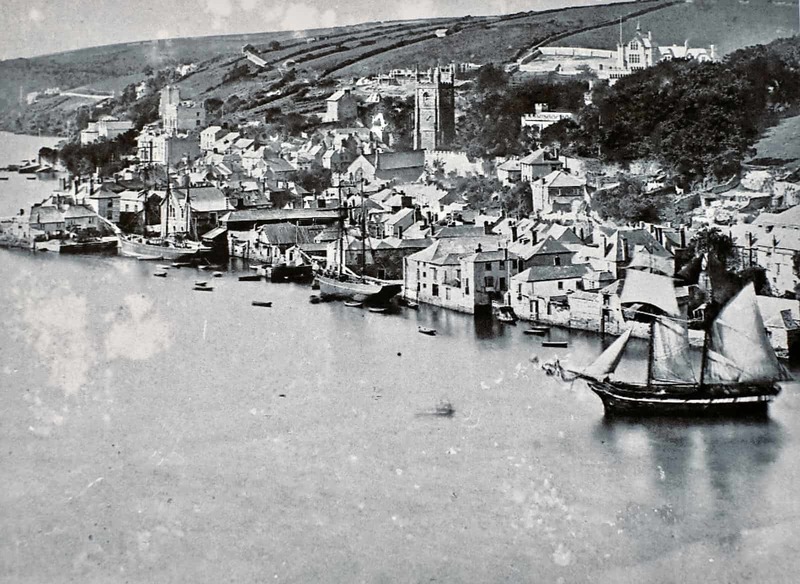 Take a picnic and get away from the busy streets of Fowey to enjoy a relaxing afternoon watching the sailing. The easy to moderate walk passes Readymoney Cove which is a perfect spot to pause and take in the views before continuing up to the the castle that once formed the defence of Fowey harbour. This year music is taking centre stage as the Trader’s Carnival adopts ’50 years of music’ as its theme to celebrate the Fowey’s Town-Band’s 50th birthday. As well as features from the town band, live music performances will take place throughout the week with an appearance from The Countrymen, a harmony vocal and guitar band and ’Cornwall’s answer to Frank Sinatra’ Andy “The Crooner” Marshall making a return to Town Quay Stage. For those of you who are more Rock ’n’ Roll than Frank Sinatra, the spirited King Creature will be delivering pure, unadulterated, old school metal on Saturday. The Cornish band, formed in 2013, is the embodiment of all things rock and roll with their powerful metal tones. Determined to keep the true spirit of rock and roll alive, not only in their music but in their spirit and performance as well, King Creature is sure to provide a phenomenal show. Originating from an ancient fertility ritual, the Flora Dance sees everyone dressed in white and adorned with flowers dancing through the town accompanied by a band. The popular dance follows the crowning of the carnival queen and is a long standing tradition of the regatta. This truly beautiful ritual sees flowers bedecking everywhere from the shopfronts to the streets to the hair of the dancers themselves, it is a sight not to be missed. We still have availability in our hotel and restaurant for Fowey Regatta. To book a room or a table, call us on 01726 833302 or email info@theoldquayhouse.com.